SweetPea Ring Slings has been providing reversible, stylish, comfortable, long lasting baby carriers for babies from birth to 35 pounds, since 2006! All SweetPea Ring Slings are made in the USA and designed by a mom of six. Choose Your Own Colors! Each sling is made just for you. If you aren't sure which solid fabric is best for you, check out this page: Which fabric type is best for me? Trendy, designer cotton prints paired with linen with cotton, linen or silk. Show your style, while babywearing. Zippered Pockets can be added to any Premium Sling for an additional $15. You choose your print, solid color and type of fabric used. The print choices are the same on each page but will change often. The solid colors vary by fabric type and are listed on each page. High quality, long lasting cotton fabrics with designer prints on the tail. Zippered pockets can be added to these slings for an additional $15. 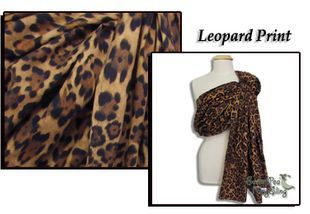 Slings will sell out when the tail prints are no longer in production. All fabrics based are on availability. On the rare occasion that the fabric that you ordered is sold out, I will work with you to find something similar or refund your money. All slings will ship Priority 2-3 Day Mail, within the USA. For International Orders, Paypal will add the cost for the overseas shipping.